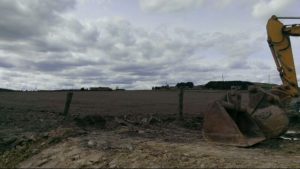 Are you buying contaminated land? As part of the legal process when buying a site to develop, your legal advisor will advise you to obtain property searches. Your lender will usually expect this as part of the terms of their loan requirements. Contamination could be found in all types of land, even previously undeveloped sites and if a local authority determines that land is contaminated, the current owner or occupier of the land may be required to remedy the contamination if the party who caused or knowingly permitted the contamination cannot be found. This can be an expensive process, so you should assess the risk of land being contaminated before proceeding to purchase a property. An environmental data search is usually used in the first instance to establish the risk of land being contaminated, by collating information from regulatory bodies, floodplain data and a review of current and historic land uses. This is a “desktop search”. An environmental data search does not include a site visit or testing of soil or groundwater samples. If the desktop search reveals a potential risk that it considers to be an unacceptable risk, you should undertake a more in depth investigation. Often local authorities deal with any contamination issues through the planning application process, by placing conditions on the planning permission that may include further site investigations or remediation works. Commercial and industrial processes may result in land becoming contaminated with substances which could pose a risk to public health or the environment, if not properly dealt with. Although most soils contain some contaminants, the levels of risk posed are usually low. The legislation is contained in Part 2A of the Environmental Protection Act 1990 and the regulations and statutory guidance issued under it, and it is retrospective. Under the legislation, local authorities are required to inspect and identify sites at which there is ‘contaminated land’. Contaminated land has a ‘significant contaminant linkage’, consisting of a significant contaminant, a pathway, and a receptor. For example, a chemical spill could contaminate the soil which could cause a risk of harm to crops, animals or people coming into contact with it. Why would you be held responsible? You may be held liable to remediate land as a result of substances in the land creating a risk of harm to persons or other ‘receptors’ in the form of designated ecological areas, controlled waters, or property in the form of crops, animals or buildings. Local authorities can issue remediation notices which would require action to remediate contamination, in the absence of a voluntary agreement to do so. Primary responsibility falls on those who caused or knowingly permitted the land to be contaminated. This person is known as a ‘class A’ person. If a class A person of the land cannot be found, the current owner or occupier may be served with a remediation notice requiring them to remediate the land. This person/entity is known as a ‘class B’ person. Part 2A of the Environmental Protection Act 1990 makes it an offence to fail to remediate contaminated land in accordance with a remediation notice. The local authority can carry out the necessary work and recover the costs from the person or entity served with the remediation notice. As the legislation is relatively new, there have not been many cases brought before the Courts concerning contamination, but a case in 2007 involving National Grid Gas PLC highlighted the risk to developers if the class A person has subsequently had statutory successors – the successor may be held not to be a class A person. The obligations may be placed on a Class B person which include current owners and occupiers. Previous Post Kitchen Done, But What About The Bathroom?